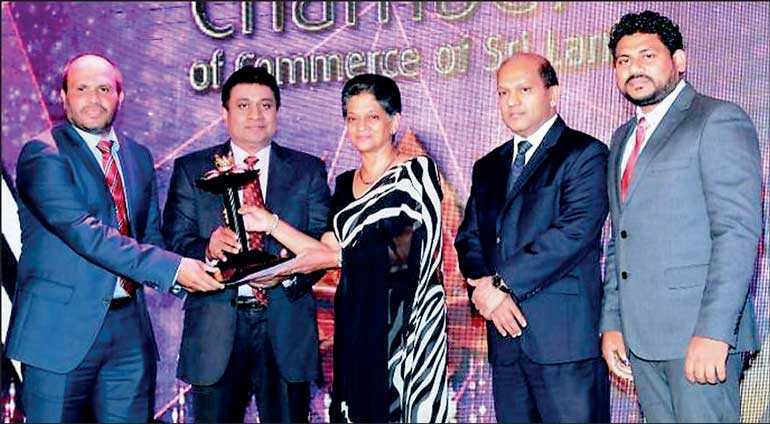 Imperial Spices, a leading exporter of spices, was presented with the much coveted Gold Awards for Excellence in Export Sector (Large Category) at the National Business Excellence Awards Ceremony 2018 organised by the National Chamber of Commerce of Sri Lanka. This achievement is a reflection of many successful programs implemented by the company recently, such as venturing into new markets, maintaining quality consistency, investing in new machinery, enhancing production capacity and processing of value added products. With a constant focus on improving the quality of products, Imperial Spices is moving forward gaining access into international markets. The company’s rapid growth has created a lot of job opportunities. Cinnamon, black pepper, white pepper, clove and nutmeg are prominent among the exports portfolio of Imperial Spices. As a key player in the spices’ trade with a high demand overseas, the company exports its products to several countries including United States of America, India, Middle East and Europe.